Surfing has contraindications? If so, what we should do to avoid them? Surfing is a sport that, as other sports, provides such great benefits for those who practice it. Surfers are in contact with nature all the time and are usually calm and happy after a good session. Sometimes it works more like a therapy, really. Most surfers are in good shape and follow healthy habits, but surfing also has some contraindications, most of them related to our health. Some of our students asked us about surfing contraindications, so here we go! Sunny days are very pleasant to surf, the water color gets clearer, the lightning is beautiful and temperatures higher. Nevertheless, the sun can be harmful as well. Long surf sessions leave surfers exposed to UV rays longer than a sunscreen can protect their skin. After years, consequences might be serious, as there is a list of diseases caused by the sun rays. Age spots, photosensitivity, wrinkles, elanoma, basal cell carcinoma and skin cancer are the most common. To minimize the effects of the sun exposure, avoid surfing between 10am and 3pm, always use clothes that contain UV protection in its fabric (or neoprene wetsuits), use proper sunscreen – zinc oxide and titanium dioxide based – and if you feel like, surfing hats and sunglasses are a good option for those who have blue and green eyes. Even these little things can be considered as a surf contraindication. Paddling is an important part of surfing. Depending on what type of wave we are surfing, long paddles are required to reach the outside. Sometimes it is a point break where the waves break for 200 yards or more. Other times it is a beach break with waves breaking far from the shore. On either cases, the excess arching puts stress on the lower spine, which can cause lower back pain and lordosis. To minimize these symptoms, start by eating healthier, stretch your hip flexors, stretch your upper body, squat correctly, exercise your abs, sit less and surf more. I would also recommend you to visit a chiropractor regularly, maybe once a month, to align your spine and prevent injuries. Alongside with the lower back, shoulders, knees and ankles are other common parts of surfers bodies that can easily be hurt. Exercising and stretching are the main keys to avoid any kind of injury. If you already feel pain in any part of your body, don’t go surf. Wait a few days until you feel better and if you don’t, go visit a doctor or a physiotherapist. The risk of bacterial infection, especially in urban areas, can make you sick. For the most part, water that has been tainted by nearby city sewage will expose you to E.coli and gut pathogens. To avoid getting sick from polluted water, health officials recommend staying out of beach waters for 72 hours after a rainstorm and also stay at least 50 yards away from any drains. Here is one important thing that you should never forget, even if in 20 years from now you become an expert or pro surfer. Never surf by yourself, completely alone. We never know what can happen in the water. Your board can hit your head under the water during a wipeout or maybe a rip current can push you to the middle of the ocean. The ocean is really powerful and we have no chance against mother nature. So please, always have someone looking for you, sharing the waves and pay attention when your friend catches a wave, look for him/her as well. Better be safe than sorry. 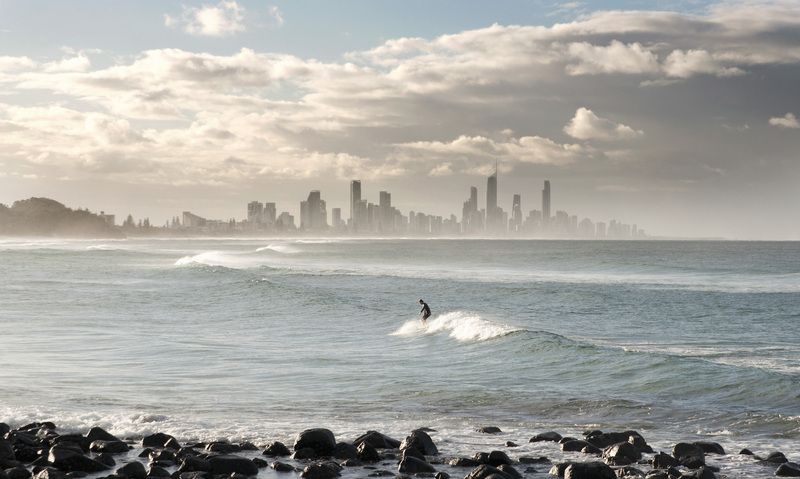 Rocks, coral reefs and sandbars are a big part of surfing culture. Rocks and coral reefs are loved and hated by surfers. They create perfect waves as the swells hit the hard bottoms and pristine shaped waves break over them. Same happens with shallow sandbars. But, there is always a price to pay for that. Once you fall and hit the bottom with any part of your body, you will never forget that moment. From little bruises to deep cuts to concussions, surfing these kind of waves is not recommended to beginners, so please stay away from them and wait until you are prepared and have someone more experienced to join you for the first sessions. If you do get cut by rocks and corals, wash the cut with plenty of mineral water and antibacterial soup (never use lemon), then use antiseptic spray to finish cleaning. Protect the cut from dust and sand and stay out of the water until it heals. Here we are talking manly about sharks. Yeah, no other animal scares a surfer more than sharks, and we all know they are there, somewhere below the water surface. Some places are known for being really sharky, so whenever you see signs of sharks stay out of the water. Pay attention to official helicopters flying low above the water, guards are usually sighting sharks and will let people know if they see any. Other creatures that can cause pain are jellyfishes. Those things hurt, they burn your skin life if that was fire. Ask lifeguards or other surfers if there’s been cases of people getting hurt and use long sleeved rashguards or wetsuits to minimize the skin area exposed. That is a global issue. Every country with good waves has some spots that are “protected” by local our surfers. They don’t allow people that are not from there to surf their waves. For beginners this is not a big problem, but you will certainly want to surf those waves one day after you improve skills. For now, just leave them for the locals and try to get to know one or two of them, so maybe in a few years they let you catch some of “their” waves. Now that you have finished reading this article, please read it once again. There are some things that need to become habits and I want you to always remember them, such as the sunscreen, the exercising and not surfing by yourself. The others are important, but will not happen everyday.